The term "lab experiment" used in describing a botched recipe may be a joke, but good cooking routinely illustrates the benefits of applied chemistry. If your brownies are crisp on the outside and tender on the inside, several scientific premises have come to delicious fulfillment. Your brownies' rapid disappearance may be a function of family biology, but making brownies combines chemistry with chocolate in delightful form. There's a scientific reason that butter, margarine, vegetable fats and lard are grouped under the general category of shortening. 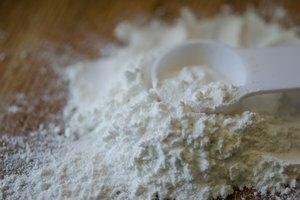 Blending fat with flour impedes, or shortens, the web of gluten fibers that makes dough cohesive and elastic. The high percentage of baking fat in brownies is one factor accounting for the tender, crumbly texture of a good brownie. Butter, used hereafter as a generic designation for fat, may also play a role in raising brownie dough. 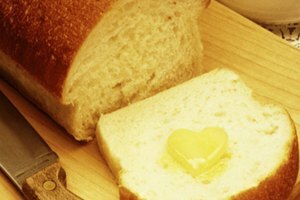 Creaming butter with sugar may create tiny air spaces around the sugar crystals, which swell in oven heat. Block baking chocolate, unsweetened or sweetened, is melted to incorporate it into the butter, but this is not the only form of chocolate used in making brownies. Both baking chocolate and chocolate chips increase recipe fat content and convey the most intense chocolate flavor. Dry unsweetened cocoa powder appears in brownie recipes, as well. 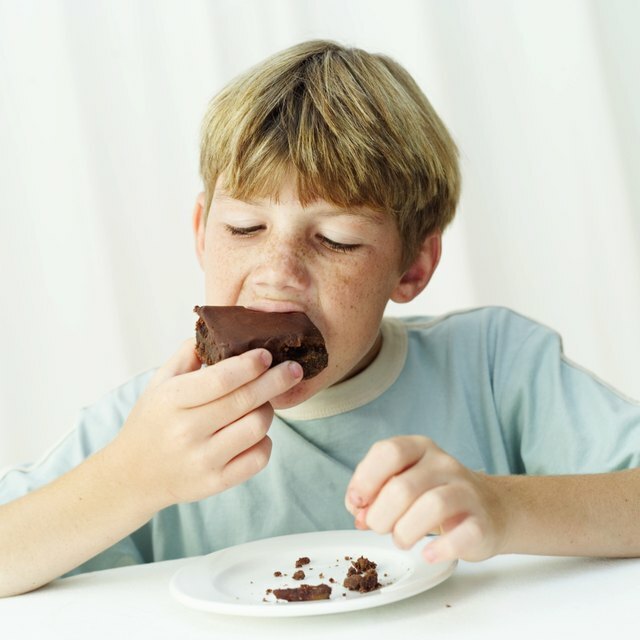 Lessening fat content and increasing the proportion of dry ingredients may produce a more cake-like brownie than block chocolate or chips. Adding vanilla extract increases chocolate's complex taste. The alcohol base of vanilla extract blends smoothly with melted chocolate, while a water-based flavoring separates molecules, a process called seizing, and makes the brownie grainy. Unless it has been creamed with the butter, sugar is usually incorporated once melted chocolate and butter have been combined. In addition to lightening texture, sugar contributes to crust formation because of the caramelization that causes the surface of the brownie to become and brown. A complex of chemical changes known as Maillard reactions, which occur during baking at temperatures above 320 degrees Fahrenheit, make sugar content a strong variable in the thickness and crustiness of baked goods. Folding beaten egg whites into batter produces lofting. Egg whites, even lightly beaten, have a viscosity that can increase the air bubbles in dough. To maintain moisture in the batter, eggs added to brownies are best lightly stirred just to blend yolks and whites, rather than thoroughly beaten, before being added to the butter-chocolate-sugar mixture. 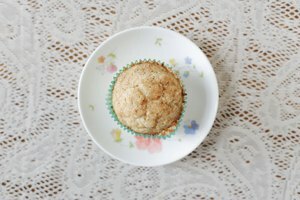 It's possible to let nature take its course without the assistance of baking soda or baking powder, but leavening results in a lighter texture and more consistent results. Since baking soda is activated by the presence of an acid ingredient, recipes including buttermilk, yogurt, liquid coffee or fruit juice react to baking soda most effectively. In the absence of an acid ingredient, baking powder produces a thicker raised brownie with less contrast between the texture of the crust and the inside. Stir in flour, with or without leaven, quickly and only until just combined with other ingredients. Both the high percentage of fat and large amount of sugar present in the typical brownie recipe mandates an oven temperature below that of some other baking. Recipes often call for a setting of 325 degrees Fahrenheit, which prevents outside edges from frying in overheated fat and keeps chocolate from burning. Slight underbaking is preferable to overbaking, which can produce dry, bitter results. 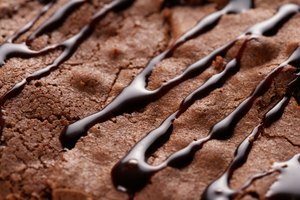 Brownies should be removed from the oven as soon as a straw or toothpick inserted in the center comes out clean. 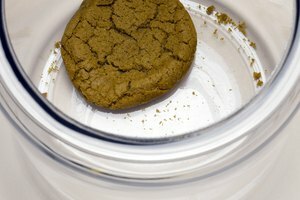 Is It Bad If My Brownies Bubble Up After Baking? What Are the Differences Between New York Cheesecake and French Cheesecake?